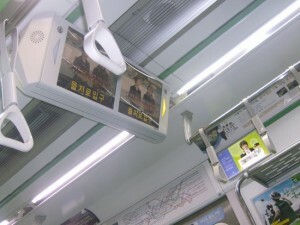 Jalopnik.com rated the Seoul subway system number 1 in the world. It is of course totally arbitrary and subjective. But a number of other sites agree too (top 10’s in HuffingtonPost.com, TorontoSun.com, AskMen.com)! 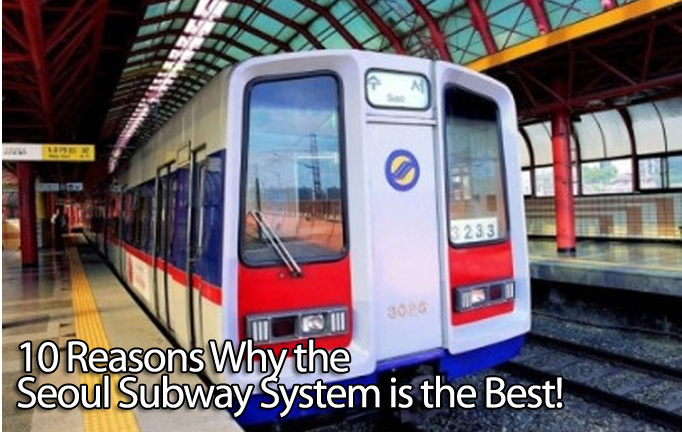 We’re here to give you 10 reasons why the Seoul subway should officially be #1! 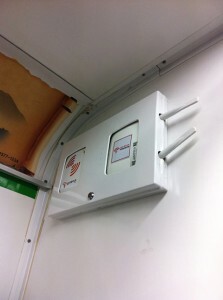 Seoul has such advanced infrastructure that it’s been offering cellphone service on all Seoul metro rides and stations. Oh, and that was more than 10 years ago. Now there’s all different kinds of paid and non-paid services for wifi connectivity, and free connections for all types of other networks: cellular, 3G and DMB (TV signals for cellphones). Basically what that means is: In Seoul, you are always connected! Sticking with the technology theme, nearly all of the newer Seoul subway trains are equipped with screens that bring you service announcements, upcoming stop names, international news, stock prices and football highlights. You won’t forget what the next stop is even after watching Cristiano Ronaldo score a hat trick. Tourists should certainly love the Seoul subways. The English, Japanese and Chinese announcements are always super helpful. Not all Seoul subway stops are announced in these other languages, but most places that interest tourists are. And although the announcements are a little bit robot-y, it’s better than not being able to understand a word the conductor says! 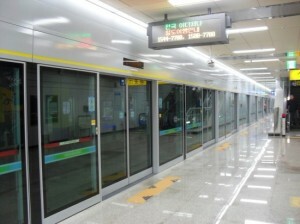 Seoul has been aggressively expanding its subway system in recent years with the addition of new lines and extensions of existing ones. And what that means is brand spanking new and very clean stations in cool areas that matter. Shinnon-hyun Station of the new Line Number 9 developed one of those iconic Korean cafe streets ever since the station’s opening. 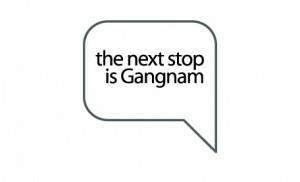 And Apgujeong Rodeo St. Station? Pfff… That place has been bumpin’ for years, the station’s just new! It’s so nice to have fresh new stations everywhere :). The gates on each platform only open when the train is there; they also prevent any accidental slippage onto the tracks. In addition to that, Seoul is pretty low on violent crimes and riding the subways can feel safe, sometimes even late at night! 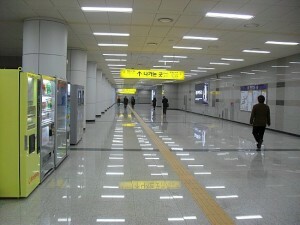 Inside and/or attached to many Seoul subway stations are actual underground shopping malls. 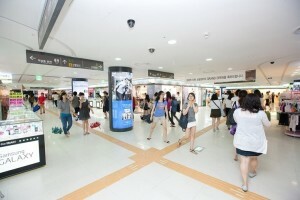 These underground shopping malls of Seoul are usually where to find cheap bargains as well as huge selections. Don’t expect any Gucci, but definitely shop here for cheap Korean fashion. 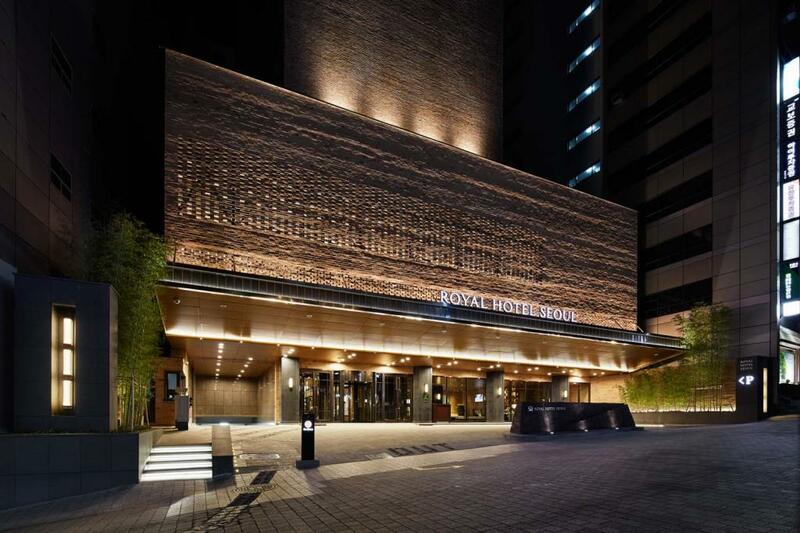 For Seoul, try shopping for Korean fashion at Express Bus Terminal Station or Gangnam Station. All this good stuff and the subway still only costs 1,050 won (approximately $1USD) for basic fare. It’s definitely not the cheapest in the world, but compared to subway prices in different parts of the world and with all that technological goodness (and free bus transfers to boot! ), that’s a deal! What do you love about the Seoul metro system? Let us know in the comments! Thanks! You should ride the line number 2 new LED LIghts near the door. It is a new subway car so it kind of rare to ride one, if you wait a while you are going to see that train and also I recommend you riding 신분당선 it is clean and they have a automatic subway!!! Couldn’t agree more. The Seoul subway system rocks. Easily the best I’ve been on, and I’ve ridden a lot of different subway systems. One of the many reasons I choose to call Korea my home. 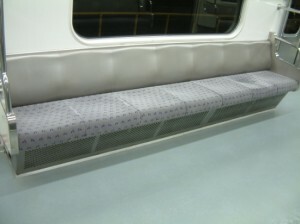 Its good and all cause of heated metro, but why the heck it need to be like SAUNA? :O i think Korea can save money on energy if they dont heat subway cars so much.. omg.. when i was there last month i needed to take my jacket of like 10 mins before station. Well cool feeling was maybye 1 min longer but after that sweat like litle pig, so no heating on full powah is not 1 of the top 10 reasons. I tihink you can replace with some other cause when you are in subway and they heating it full power you feel more cold out side. 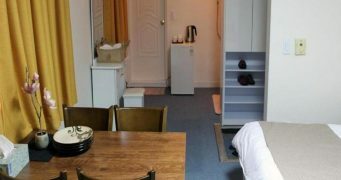 Safe, friendly, reliable, warm, full of helpful and friendly people and there’s even a discount or transfer fare reduction on swapping from buses to the subway. The subway reflects the national character – manifestly excellent in all respects. Keith is right. Check out the 6 seoul subway shorcuts to tourist attractions page. the Seoul subway system is AWESOME! 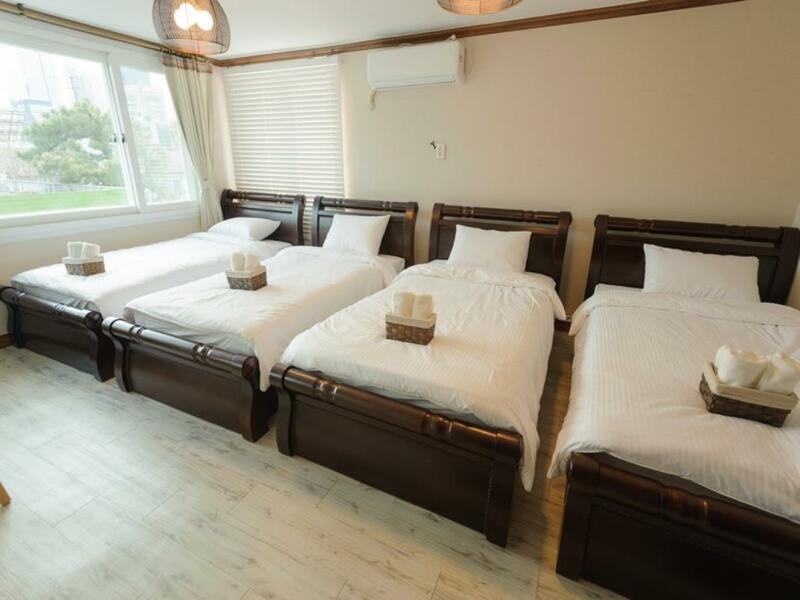 lived in Korea for four years, but only had regular access to it for one. VERY clean and efficient. Made the time in Seoul so much easier. One word of advice- try to stay quiet on it if you can. I never had a problem with noise, but when a group of English teachers get on and start talking, they’ll be reminded of the NO TALKING pretty quick. Now, if only the ajumas would LEARN to let people OFF before they come on, and not push, then yeah the Seoul subway would be pretty good. The Ajumas can be scary 😐 Got pushed so many times! Oh the Seoul subway is delightful until midnight. But I would give up all those perks for a 24/7 system. And I did – by moving back to New York. It may be dirty and cellphone-unfriendly, but at least it always gets you home! I recently arrived back from Seoul, before that, travelled in 7 countries throughout Europe and yes Seoul is #1. After being away from Seoul for 4 years I was impressed by how much they have improved a system that was already great, like the direction arrows for waking in stairs and through transfers. It’s nice that seniors get to ride for free, however, they should really be aware of rush hour times when planning their day, that would help the Seoul system greatly during rush hour! My favourite thing about the Seoul subway is the cute little jingles that are played when the train is arriving or when you’re getting to a transfer station! I get super nostalgic when I hear these tunes (because I’m constantly listening to them). Can’t wait to come back to Korea! YES!!! I love the transfer station jingle. As a Korean living halfway around the world from Korea itself, I really miss those jingles and would like to visit soon! I agree wholeheartedly. Seoul’s subway system is a godsend. Easy to use, convenient and oh so clean! The underground malls and shops are a bit of a double edged sword though; when I was there and transferring from one line to the next, I always risked being late for my final destination because I kept getting distracted by all the shops and cafes I could browse through. Lol. Love it! Its been my official mode of transportation each time I visit Seoul and I have been coming each autumn for the past 6 years! So user friendly and efficient and convenient indeed. One thing I do appreciate too, though not about the subway itself, are the people riding. No people talking very loudly (which I have experienced in NY and Singapore). Even ringtones on mobiles are set to discreet volumes or none at all which makes riding a treat when you are tired and hoping for some peace and quiet on the ride home. Singapore MRT is better and more inclusive since elderly, those with prams, riding on wheelchairs have access to escalator or lift at almost every exit. 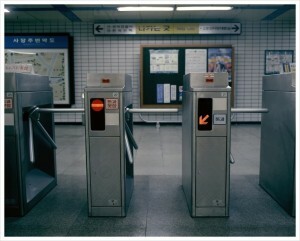 Seoul Metro is not kind to these travellers with mostly stairs and limited lift and escalator. 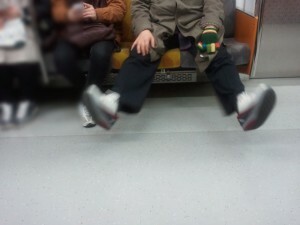 Seoul commuters are also are inconsiderate, not allowing people to get off in a crowded train before they alight. Inclusive, yes, but better? Since when sia. Singaporean MRT got so little line, so got a lot of places dont reach. Then take bus, the bus goes round and round. Some more recently got so many breakdown. Dk what you saying when you say singaporean mrt is “better” than seoul’s.